LOOM & LEAF Mattress Review 2019: The Best Mattress For Back Pain? An In-Depth Review of the Loom And Leaf Mattress - A Mattress Back Pain Sufferers Will Love! Considering that the materials are American sourced and made, and the high quality materials are used in constructing the high density and gel foam layers are not inexpensive, this mattress truly provides a good value. When looking for a new mattress, there are so many considerations to keep in mind. A mattress that is on the far end of the soft spectrum provides no support for your back, while a mattress that is too firm doesn’t support healthy sleep and joint comfort. The Loom and Leaf mattress brand was developed by Saatava in March, 2015, with a goal to deliver “ultra-luxury” mattresses at a fraction of the price. With two comfort options, Loom and Leaf attempts to satisfy Goldilocks’ classic problem of the mattress that is too soft, too firm, but not quite just right. Loom and Leaf makes American-made mattresses that aim to compete in the luxury memory foam mattress market. Their mattresses come in two comfort options – Relaxed Firm and Firm – to meet the comfort needs of a wide variety of consumers, which is a nice feature that is not often seen from online mattress retailers. Their mattresses are designed to minimize pressure points while sleeping and relieve back pain while providing exceptional comfort. Although back sleepers report the most comfort from both models, these mattresses are designed for sleepers of all sleep styles. The Relaxed Firm mattress is best suited for those looking for a mattress that is supportive but can be sunk into, whereas the Firm mattress is best suited for those who are looking for superior firmness and support. American made using mostly plant-based foam materials. Very effective for relieving back pain, both in the Relaxed Firm and Firm models. Confirms and contours to the shape of your body, minimizing pressure points. Cooling features not always effective. Inconvenient delivery experiences, including delays and rescheduling. You Want to Support American Made Products: Loom and Leaf is an American-crafted mattress company. Their materials are sourced from the USA, and their 19 factories are located within the USA and Canada. You Prefer Organic and Plant-Based Materials: These memory foams are constructed with mostly plant-based materials sourced from the USA, the flame retardant covering is made from natural thistle, and all cotton materials are made from organic cotton. You’re Looking for Firm Support for Back or other Medical Reasons: The Loom and Leaf mattress is designed to have more support in the lower back and torso areas. While both the Relaxed Firm and the Firm models provide support, the Firm model is especially preferred by those with back pain. You Want a Mattress that Supports Multiple Sleeping Styles: This mattress performs exceptionally well at providing pressure relief for multiple types of sleepers, with the highest rate of satisfaction coming from back and stomach sleepers. Overall, the Loom and Leaf mattress provides a good price to value as compared to their competition in the luxury memory foam mattress market, such as Tempur-Pedic and Serta. The Loom and Leaf mattress comes in two comfort options, which is a nice feature that is not too common in the online mattress marketplace. Before we go into the details of each comfort option, let’s explore the overall firmness and support of this mattress company. A good memory foam mattress provides support as well as comfort. The contouring memory foam and support layers on Loom and Leaf adjust to your body type and sleep position, providing support for joint pain relief, eliminating pressure point, and improving circulation. The end result is the correct support for your body to create healthy spinal alignment. Overall, back sleepers seem to have the highest rate of satisfaction with both models. The major source of complaint for both models is lack of edge support. This makes it difficult for those who sleep close to the edge or those who enjoy sitting on the edge of the bed to get dressed. Most average sized people find the Relaxed Firm mattress to be comfortable and supportive, although some report difficulties in movement, especially when changing positions, due to the excessive foam padding. The Relaxed Firm mattress is Loom and Leaf’s flagship product, claiming to be in the “sweet spot” between not-too-hard and not-too-soft. Many side sleepers find this mattress most ideal, although it is well rated for back and stomach sleepers as well. On a scale from 1-10, where 1 is a pillow and 10 is cement, Loom and Leaf self-rates the Relaxed Firm mattress at a 6. Unfortunately, support has been reported as inadequate for large people (230+ pounds) who have purchased the Relaxed Firm mattress. Larger sleepers find the Relaxed Firm mattress especially disappointing when sleeping on the side or stomach, although they report better support with the firm mattress. The Firm mattress is ideal for back and stomach sleepers, as well as larger sleepers. Most average and large sleepers find the Firm mattress to be supportive and comfortable for back and stomach sleeping positions but report it to be less side sleep friendly. The Firm mattress is marketed as having a very firm feel and being well suited for those who have back or other joint problems. These ultra-firm mattresses are ideal for back or stomach sleepers. On a scale of 1-10, Loom and Leaf rates this option at an 8. Small people (under 130 pounds) report inadequate support for both models in all sleeping positions, most likely due to them not weighing enough for the bed to conform to their body. They find the mattress to be excessively firm. Loom and Leaf is an excellent option if you are looking for a mattress made with organic, plant-based materials, all sourced and constructed in North America. The mattress is made up of four progressive layers that work together for support, comfort, and cooling. Made with dense, five-pound plant based foams, these mattresses are constructed with the highest standards for quality and safety and are delivered flat to avoid folding or vacuum rolling. The top layer is an organic cotton package with a natural thistle flame retardant and a quilted knitted pattern. The quilting pattern is more than just aesthetics, as it concentrates support in the middle of the mattress, providing more support around the lower back and torso areas. This layer also has a 5/8” foam layer to accentuate the foam comfort and “hug” you as you lay down. Some customers find this extra padding to be disconcerting, preventing them from moving easily. The next layer is a supportive and cooling layer. This two-inch, 4-pound top memory foam layer uses a patented gel-on-gel design that Loom and Leaf is calling “gel-swirl” construction, a technique that provides even distribution and a cooling sensation while you sleep. The cooling gel spinal panel is fused into the foam, claiming to add a cooling element as well as provide spinal support. This cooling gel is the same type that can be found in Burn units at hospitals, so it is manufactured to strategically target cool zones in the body that generally retain heat. Unfortunately, some users report that this cooling layer only works when you initially lay down on the mattresses. As your body heat is absorbed into the mattress, the cooling gel fails to be effective. This is not true for everyone though so we recommend to use the long trial period to make your own experience. The core layer in the mattress is a five-pound, 2.5-inch visco-elastic memory foam for deep contouring support. This high-quality visco elastic memory foam is certified CertiPUR-US, meeting both physical performance standards as well as indoor emissions and environmental stewardship. A transitional two-inch loft pad supports the layer above and below it to promote transitional support and comfort for sleepers. Finally, a 5.5” support base is made from high-density foam core, acting as foundation and support for the layers above. 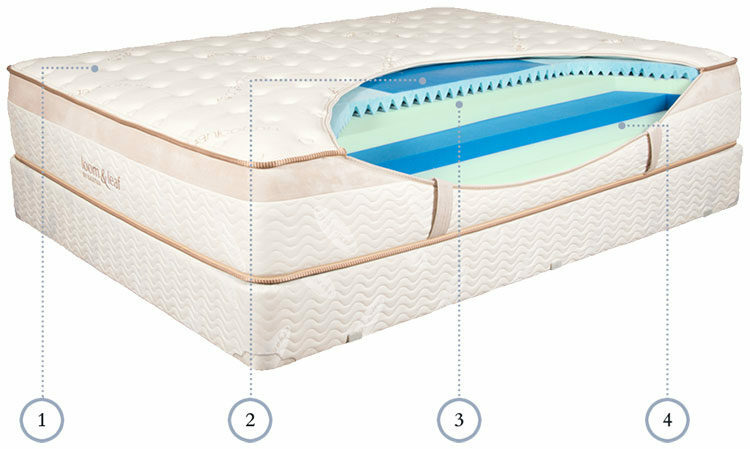 The lack of information around this base foam’s density leads us to have some concerns of durability and longevity of the mattress, as the softening of the base is the most often cause of loss of support. Most luxury memory foam mattresses can cost in the thousands of dollars, so durability is an important factor to consider. Even though the Loom and Leaf mattress costs a fraction of the cost of its competitors, the hassle of replacing a mattress still makes durability an important consideration. Sagging and loss of support has been reported by about 6% of owners, according to Sleep Like the Dead but most owners are very satisfied with it’s durability so far. The company has only been in operation since March 2015, so it is worth noting that this company is less established than other companies on the market and durability has not been proven for these mattresses. That being said, the BBB rating is for their parent company, Saatva, is A+ and customer service is well reported by users. Mattress size is especially important to consider since this mattress will be delivered flat. This means you need to be sure that the mattress will fit in the doors in your house before placing your order. Twin XL and CAL King sizes are available, which is helpful for taller or larger than average sleepers. Foundations are available in 8.75-inch and 4.75-inch bases. These rigid, solid support foundations utilize a solid deck of wooden slats to create support for the mattress and your body. They are made from bio-based foams and covered in organic cotton. Loom and Leaf also sells frames that lift 7.5-inches off the ground. Seven heavy duty legs support the frame, and the center frame can be used for maximum stability and support. This center frame has three legs. These frames meet the standards to keep your warranty intact. The Loom and Leaf mattress is 12-inches thick, much smaller than many of its competitors in the memory-foam market. A general rule of thumb is that thicker mattresses are more ideal for larger sleepers but most large sleepers report being comfortable in the firm model when sleeping on their back, side, or stomach. The base foam layer of the mattress is only 5.5-inches, which may not provide support for larger sleepers over a long period of time. Circulation and heat buildup are a hot topic for memory foam mattresses. A traditional spring mattress has a better ability to circulate air, while a foam mattress tends to trap heat and increase the temperature as you sleep. This is problematic for those living in warm climates or hot sleepers. The Loom and Leaf claims that between the breathable organic cotton cover, the cooling gel layer, and breathable channels throughout the foam, this mattress will keep you from overheating throughout the night. Unfortunately, according to Sleep Like The Dead, 7% of owners are reporting bothersome heat. It is true that the cooling gel pad imbedded in the top layer of foam is effective at first, but it does not prevent the foam itself from heating up when in contact with your body heat. Some customers find that the lack of proper air circulation prevents this bed from being truly cool to sleep. Again we recommend to try it yourself since perception of heat is very subjective. The 120 day sleep trial will offer plenty of time to do so. Off-gassing smell is generally a small consideration, except for those who are extremely sensitive to odors. Most memory foam mattresses do go through an offgassing process, mostly due to the vacuum packaging of the foam materials. With Loom and Leaf, the mattress is not “crammed” into a box and is instead delivered flat. A delivery team personally sets up the mattress in the room of your choice. Loom and Leaf claims that because the mattress is not rolled or boxed, and because the foam is plant-based and stable, there are no odors upon delivery. Customer service is really important with any product that is purchased over the internet, and especially important when a high price tag is involved. Loom and Leaf customers generally have great things to say about their customer service experience. 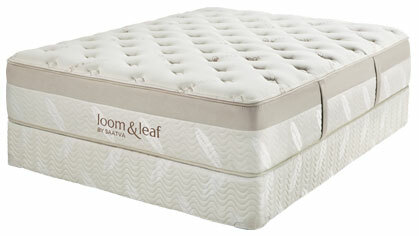 Loom and Leaf offers a 120 day sleep trial to allow sleepers to truly experience the mattress. Many customers report calling to return the mattress and being asked to continue to try the mattress for a few extra weeks, but they found the return process to be hassle-free if they were truly unhappy with the comfort or support of the mattress. The initial delivery fee is $99. This delivery fee is nonrefundable if the mattress is returned within the sleep trial, but the company does not charge any pick-up fees or restocking fees. For a small fee, they will remove your old mattress and foundation. Many customers report problem with delivery, reporting an average delivery time from 7-20 days. The customer must be home for the delivery, creating potential for delays and reschedules. The problems were well addressed by customer service in most of the instances, however it still presents an inconvenience for customers. The Loom and Leaf warranty is 15 years, slightly longer than the industry average of 10 years. For the first 2 years, the mattress will be replaced with no charge if deemed defective. In years 3-15, Loom and Leaf will repair or re-cover the mattress and the only charge is transportation costs of $99 each way. If you don’t want to have the mattress repaired, a new mattress will be delivered for 25% of the original price and you keep the original mattress in years 3-5. In years 6-10, the mattress will be replaced at 50%, and at 75% for years 11-15, all deliveries including a delivery charge of $99. It always pays to read the details of a warranty. Loom and Leaf’s warranty is valid for mattresses stored on a platform bed or on metal frames. For Queen and King mattresses, the metal frame must have 5- or 6-legged metal bed frames with vertical center support. Warranty for Full or Twin only requires a 4-legged metal frame. Body impressions are only covered by warranty if they are greater than 3/4-inches, which is much better than the average memory foam warranty which only covers impressions greater than 1 1/2-inches. Consumers who are concerned about the environment should love the Loom and Leaf mattress. Being American-crafted with factories located in the USA and Canada means that the footprint of this mattress is much less than those who receive their parts and materials from overseas. In addition, the use of renewable plant oils used in the foams reduces greenhouse gases that are traditionally created by making chemical-based visco-elastic polyurethane foam used by non-plant based manufacturers. In addition to a lowered footprint, the cotton materials used are all organic, and the mattress itself is made with plant-supplemented foam. The foam is made with approximately 30% renewable resources, such as petroleum-based soy and corn oil. Instead of using PBDE flame retardants, the Loom and Leaf’s mattresses use natural thistle flame retardant materials. The plant-based foams used have low VOCs, no mercury, lead, formaldehyde, phthalates, or ozone depleaters. As compared to other “luxury” memory foam mattresses on the market, Loom and Leaf comes in at great price to value. As compared to a Tempur-Pedic, the Loom and Leaf is less than a third of the cost. Loom and Leaf claims these prices are made possible because their business model eliminates brick-and-mortar mark-ups. Without any middlemen earning commission or retail stores needing to mark-up the product, Loom and Leaf can offer a direct-to-consumer product at a more reasonable price. Overall, this mattress provides a good price to value as compared to their competition, such as Tempur-Pedic and Serta. Considering that the materials are American sourced and made, and the high quality materials are used in constructing the high density and gel foam layers are not inexpensive, this mattress truly provides a good value. While some customers find the mattress too hot, too soft on edge support, and there are some durability concerns, the price of this mattress, the 120 day sleep trial and the fact that most customers really enjoyed this product make this a great option for average sized customers. Firmness & Support: A good memory foam mattress should contour your body, eliminating pressure points while providing support for your spine. Back and stomach sleepers will appreciate firm support while side sleepers should aim for a slightly softer mattress to prevent their arms and shoulders from falling asleep. Material & Construction: There are multiple different types of foams to choose from when looking at memory foam mattresses. Traditional foam supports and cradles the body to increase circulation, while gel foams reduce pressure points and can help reduce chronic pain. Look for the foam materials that meet your needs, including cool-air technology if you do not like sleeping hot. Durability: The quality of the materials used in construction as well as the mattress’ support base foam density can affect the durability of your mattress. The average lifespan of a memory foam mattress is 7.5-8 years, and inexpensive foams generally use lower density bases, a factor that can affect whether your mattress will last that long. In addition to construction and materials,the longevity of the company should be taken into account, as newer companies do not have customers who are at the tail end of mattress life and have not proven their warranties are held up. Thickness: A thicker mattress will be harder to get on and off for people of small to average height, but thicker mattresses are generally more ideal for larger sleepers. 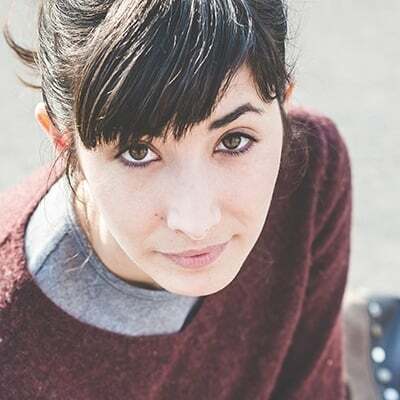 Consider the makeup of the layers, as some of the new technology allows memory foam mattresses to be thinner but still provide support for average to larger sized individuals. Temperature: Most memory foam mattresses sleep hotter than traditional spring mattresses, which have a greater ability to promote airflow. A cooling gel layer may help aid in cooling, but mattresses created with layers that promote airflow are generally better at promoting cool sleeping. Customer Service: How a company handles returns during the sleep trial, deliveries, restocking charges and other unexpected charges, will affect your overall view of the mattress. Some companies will allow you to return the mattress during the sleep trial period, but they will charge restocking fees or large delivery fees. Pay attention to how a company handles the initial purchase, as this will also be a good indicator of how they will handle future warranty claims. Eco-Friendliness: Many mattress companies are importing materials from overseas to keep their costs down. A new wave of mattress manufacturers are committing to using plant based and organic materials with low Volatile Organic Compounds (VOC) for indoor air quality. This commitment to manufacture mattresses that are free of chemicals is beneficial to your health by reducing skin irritations and helping to prevent respiratory problems..
Price: Mattress prices range from hundreds to multiple thousands of dollars. Look for the mattress that has the best price-to-value for your individual needs. The least expensive or most expensive mattress on the market may or may not be the best fit for you.